APRIL 1st - AUGUST 20th 1918. April 1st.-In accordance with orders received on the previous night at about 11.30 p.m., the Regiment stood to arms at 5 a.m., as a precautionary measure in view of an expected German attack, which, however, did not come. 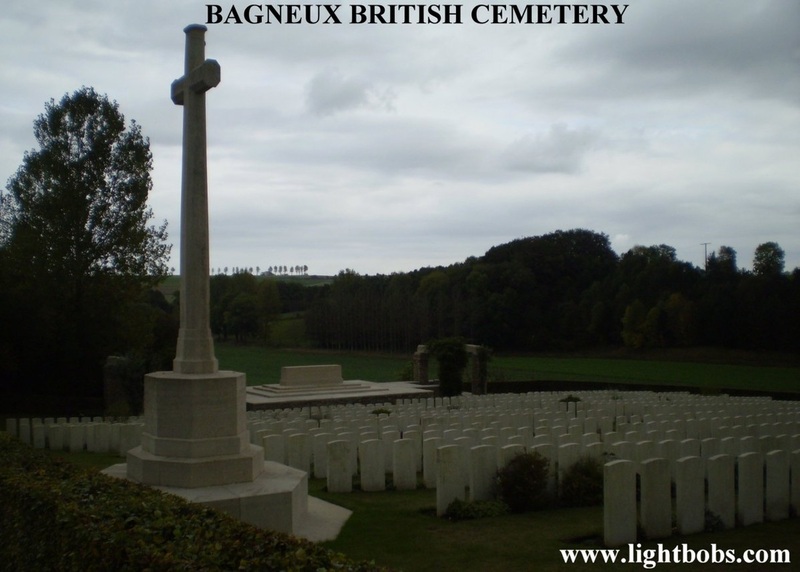 Later in the day orders were received that the Regiment would go into the line that night, relieving the left company of the Com­posite Battalion in the same area as was handed over on the night of the 29th/30th March to D Company 10th D.C.L.I. The Regiment marched off at 6 p.m., proceeding in small bodies via Hedauville and Englebelmer. The relief was effected without incident. Lieut. F. C. L. A. Lowndes, M.C., and 2 men wounded while serving with the Composite Battalion during this day. April 3rd.-The Regiment was relieved about midnight by the 1/28th London Regiment (Artists' Rifles), and withdrew to Varennes. April 4th.-The Regiment, as part of the 5th Infantry Brigade, marched from Varennes via Agneux, Louvencourt, and Marieux, to billets in Sarton (previously occupied by us in September and October 1916). Billets fairly comfortable, and every one would have liked to have stayed there. The 93rd reinforcement (Sergeant Beard, 2 corporals, and 95 lance-corporals and privates) joined the Regiment. April 5th.-Death of Major-General T. M. Bailie, Colonel of the Regiment, and formerly O.C. 52nd Light Infantry. The Regiment marched from Sarton via Orville, Halloy, and Lucheux, to billets at Le Souich. Brigadier-General W. L. Osborn, C.M.G., D.S.O., assumed com­mand of the 5th Infantry Brigade, in place of Brigadier-General G. M. Bullen-Smith, C.M.G., D.S.O. (to England). April 6th.-The Regiment marched from Le Souich via Ivergry, Beaudricourt, Estree, Magnicourt-sur-Canche, to Gouy-en-Ternois, where it was understood it would remain for a week. The 94th reinforcement (62 other ranks) arrived from the Base. April 7th.-The Regiment spent a quiet day in billets at Gouy-en-Ternois. April 8th.-Summer hours came into force. Companies reorgan­izing, bathing, inspection of box respirators, etc. Redistribution of Lewis guns. Four additional Lewis guns for anti-aircraft purposes will be manned by teams of Reserve Transport Drivers and Buglers. April 9th.-Marched at 2.30 p.m. to billets in Le Souich and Brevillers. April 10th.- 95th reinforcement (268 N.C.O. 's and men) joined the Regiment. This draft consisted for the most part of boys under 19, who had been sent out from a graduated battalion (52nd Graduated Battalion, Hampshire Regiment) before completing their training. There were a large proportion of Oxfordshire and Buckinghamshire men amongst them. As there were rose-measles contacts amongst them they were ordered to be segregated. Permission was therefore granted for them to be formed temporarily into a duplicate battalion, to be known as the " 2/52nd Regiment," and segregated in billets at Bouquemaison. April 11th.-Marched from Le Souich to billets at Mondicourt. April 12th.-The O.C. and Company Commanders went up to reconnoitre the area (of the centre brigade of the Guards' Division), probably to be taken over tomorrow night (13th/14th). An inter­esting day, but the impression gained of the position not very favourable. The area to be taken over consisted of a line of posts in front of Hamelincourt, which lies (in enemy country) between Moyenneville and Boyelles, and required a great many more men to work on it than were available. The Purple Line and Reserve Line, Hendecourt-lez-Ransart, and in front of Blairville respectively, were reconnoitred within the Brigade front. The Regiment moved to Saulty, where it went into billets and bivouacs in the park. April 13th.-The Regiment relieved the 2nd Coldstream Guards in the position of Reserve Battalion, Centre Brigade, being in huts on the Blaireville-Hendicourt-lez-Ransart road, and in unpleasant proximity to a heavy battery R.A., the attempts to destroy which by the enemy necessitated for ourselves several moves to alternative positions, and seriously interfered with rest. 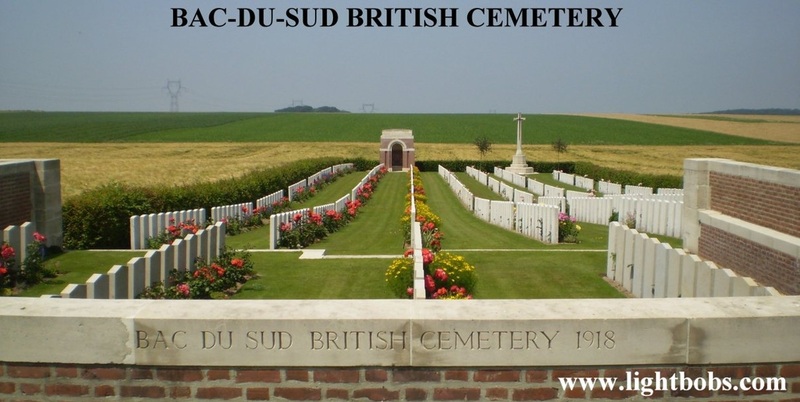 At 2.30 p.m. the Regiment marched from Saulty via the main Doullens-Arras road as far as Beaumetz-lez-Loges, detaching the rearward services to Bailleulmont, from Le Bac du Sud, where the Regiment halted for tea, and then via Bretencourt and Blairville : A and C Companies (right and left) occupied the Purple System by night, within the Brigade boundaries. April 14th.-Very cold and unpleasant. B and D Companies (right and left) to the Purple System at night. April 15th.-Final departure from the huts to an area clear of the guns, followed by comparative peace, but with discomfort. This morning German time again became 1 hour ahead of Franco-British time. April 16th.-The Regiment relieved the 2nd H.L.I, in the right sub-section of the Brigade front; H.Q. at Boiry St. Martin ; 24th R.F. on the left; 1st R. Berkshire Regiment (Lieut.-Colonel R. J. Brett) on the right. 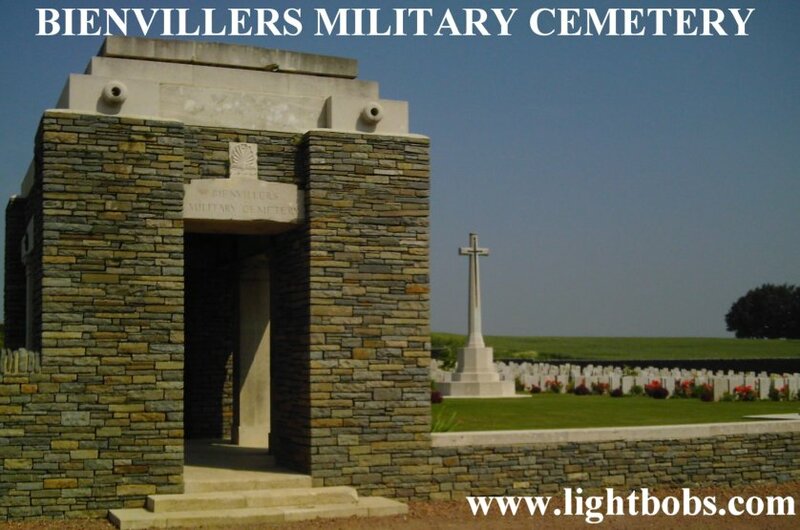 April 17th.-Shortly after the completion of the relief, the Com­manding Officer and bugler (9808 Bugler Osborne), in endeavouring to trace the disconnected front line, met 2 N.C.O. 's of A Company (also reconnoitring), and the whole party found themselves among some German posts. A Company was on the right front; D on the left front (railway inclusive); C in support; B in reserve. Casualties :-1 man killed, 1 died of wounds, 2 men wounded, and 2 missing. April 19th.- Inter-company reliefs carried out. April 22nd.-After a quiet 6 days' tour the Regiment was relieved by the 24th R.F. (from Brigade Reserve). 7876 Lance-Sergeant A. H. Bennett. 22180 Lance-Corporal Kirby (third time recommended). A continuous front line, and fairly good trenches. April 26th.-Notification received of the escape of No. 32525 Lance-Corporal Hubbard (C Company), missing and taken prisoner on the 24th April 1918.
" A N.C.O. of the 52nd Light Infantry, who was taken prisoner at Bertencourt last month, escaped to our lines on the front of the division on our left yesterday morning. He was employed at a German military veterinary school at Hordain, south of Denain. He was made to work on a forge of the school from 7 a.m. to 5.30 p.m. daily, and received one-fifth of a loaf and a little jam for breakfast and tea, and mangel-wurzels, or sometimes horse-flesh, for dinner. The food was both too bad and insufficient for the amount of work that he was required to do. The German soldiers treated their prisoners very badly. French civilians were very good to British prisoners, but on one occasion a Frenchwoman was knocked down and kicked by three German soldiers for giving food to this N.C.O. Our aeroplanes have caused great loss amongst the already depleted transport of the Germans, and a bombing raid on Douai held up traffic for three days." April 28th.-Inter-company reliefs carried out. May 1st/2nd.-The Regiment was relieved by the 24th R.F., and withdrew to the position of Reserve Battalion, as previously occu­pied. The relief was effected without incident, except that soon after 9 p.m., as the party of Guides (Captain C. T. Chevallier and about 18 other ranks) were leaving Regimental H.Q. to proceed to the point of meeting the relieving battalion (bridge of the Cojeul River) near Boisleux-au-Mont station, they came under a very unpleasant burst of shelling. The first shell killed 3 and wounded 7 of the guides. This caused some confusion, but luckily not much delay, as the relieving battalion had occupied this line before, and, in spite of the extreme darkness of the night, was able to find its way with a less number of guides into its position. For his very fine work in tending wounded, No. 19156 Private mount, a Regimental Scout and one of the H.Q. Guides, was sub­sequently awarded the Military Medal. Bar to Military Cross, Captain George Field, M.C. Military Cross, Temp. Lieut. (A/Captain) Percy A. Bobby. May 3rd.-Bar to Military Cross, Lieut. (A/Captain) L. E. W. O. FULLBROOK-LEGGATT, M.C. Information received of the appointment of Major-General Sir John Hanbury-Williams, K.C.B., K.C.V.O., C.M.G., to be Colonel of the Regiment, in place of the late Major-General T. M. Bailie. May 4th.-The Regiment relieved the 2nd H.L.I, in the left sub-section; H.Q. as before. Relief effected without incident. May 8th being mentioned as a probable date. No. 4 Section, A Company, 6th Battalion Tank Corps was moved up to the position of readiness in the Brigade front. May 5th.-Quiet day. The 2/52nd Regiment, less its H.Q. and the greater part of X Company still under isolation, rejoined the Regiment, and were billeted for the night in Berles-au-Bois. May 6th.-They were inspected and taken over by the C.O. and the Captains of their companies who came down from the line for the purpose, and in the evening about 60 joined their companies in the line, the remainder being unable to proceed by reason of deficiencies of necessaries and the need for repairs to clothing and boots which the regimental artificers could not execute in time. At 9 p.m. the enemy attempted a raid on the left company and on the right of the 24th R.F. on our left, but were beaten off with some loss to themselves. May 7th.-Inter-company reliefs took place. May 11th/12th.-Towards evening the enemy carried out a heavy gas bombardment of Blaireville and neighbourhood, which delayed our relief by the 15th H.L.I., but did no damage. May 12th.-Relief complete at 1 a.m. Embussed at Blaireville, and proceeded to Saulty, where billeted, camped, and bivouacked in the village and park. May 13th.-Saulty.Training began on organized lines according to programmes submitted by companies. May 18th.- A Court of Inquiry was held on men missing since 21st March. May 20th.-Notification received of the award of the Military Medal to 19156 Private Mount. The Regiment, in training at Saulty, was inspected by the Major-General. In future all training will be in steel helmets. May 21st.-Box-respirators were ordered to be worn for an hour daily for the next five days—half an hour each before breakfast and after retreat was the arrangement which worked best. May 23rd-31st.-The Regiment continued to carry out various forms of training at Saulty. June 1st.-The Regiment on this date was still in billets, camp, and bivouac in Saulty village and the Chateau Park. June 2nd.-Ceremonial Church Parade. In the afternoon bathing, and the band played in the park. June 3rd.-Celebration of the birthday of H.M. the King. June 4th.-Training in morning. Concert in evening. June 6th.-The C.O. and Company Commanders reconnoitred the area to be taken over tomorrow in the region of Adinfer Wood, towards Berles and Monchy. June 7th.- The Regiment moved by light railway from Chapel Dump Station (Saulty) towards the line, with a view to detraining at Monchy Siding; but the third train conveying C Company had a truck derailed, and C and D Comapnies and a portion of H.Q. Company had to march by track " A " to the rendezvous. Trans­port required forward (including cookers) marched independently, under 2nd Lieut. Shaw, to this point. Thence the Regiment marched by platoons, through Monchy-au-Bois, to relieve the 3rd Grenadier Guards in the position previously reconnoitred. The relief was effected without incident, and a very satisfactory rest and training period was brought to an end. The rearward services were distributed : Transport lines at Pommier, remainder at St. Amand. This was an awkward arrangement with nothing in its favour, and was altered within 48 hours when all were collected in billets in a farm at Pommier. June 8th,-About this time influenza, or trench fever, broke out in the Regiment, many officers and men being affected; 5 officers and about 60 men were evacuated to hospital, and many others were sick in their quarters. Otherwise the days spent in this area of the Reserve Battalion were very pleasant. June 11th.-The Regiment relieved the 2nd H.L.I, in the area of the left front battalion, left brigade, 2nd Division (right division of VIth Corps). June 14th.-A rearrangement of companies took place, in order that two platoons of D Company should be withdrawn to be practised over taped ground for a raid which had been ordered for the night of the 17th/18th. June 15th.-Further rearrangement of companies. The first four days in the line were quiet and uneventful, though very active patrol work was carried out by officers and N.C.O.'s. 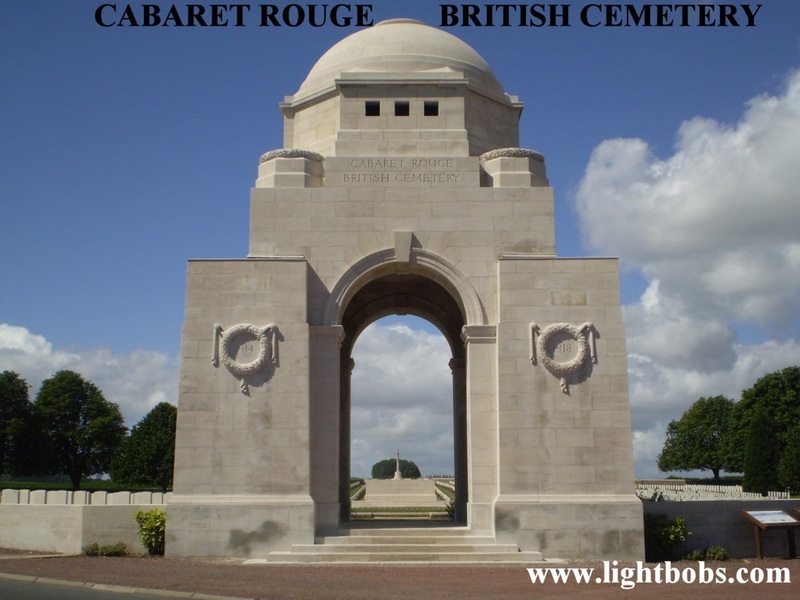 "At 11.35 p.m., when the barrage opened, they advanced and came under close fire of one light machine-gun, which caused several casualties in the leading platoon, under 2nd Lieut. Creak. The officer, however, led them forward, shooting a German on his way, but was wounded and put out of action by fragments of a bomb or shell when getting over some concertina wire. This party did not reach the objective on the Ayette-Moyenneville road, and had 11 out of a total of 12 casualties. "The second party advanced and cleared their objective along the shell-hole line, finding the Germans in shell-holes between this line and our front line. Their leader, Sergeant Bennett, accounted for several Germans, by one of whom, however, he was wounded in the face by a bayonet as the German fell forward after being shot. Lance-Corporal Wilson also did good work with his leader. This party carried out their task well and as ordered. "It is regretted that no identification was obtained, but there is no doubt that the Germans put up a good fight before clearing out, and Lieut.-Colonel Crosse's estimate of five dead is within the mark. The enemy system of changing his light machine-guns every night from one shell-hole position to another causes difficulty in making certain of them beforehand. "Regarding our casualties, 7 out of the 12 were caused by light machine gun fire. One of the missing, Private Stokes, crawled into our lines at 12 noon today (18th June), so there are now three missing." "The raiding party of the 52nd Light Infantry made a most determined and courageous effort, and I share their disappoint­ment in not securing identification. "I congratulate them on the fine fighting qualities shown by Sergeant Bennett's party, and on the casualties they know they inflicted on the enemy." June 19th.-The Regiment, on relief by the 24th R.F. withdrew into reserve. June 23rd.-Relieved the 2nd H.L.I, in the area of Right Battalion of the Brigade. July 1st.-The Regiment (in the 5th Infantry Brigade, 2nd Divi­sion) was in the trenches in the neighbourhood of Saulty (Adinfer Wood). The Regiment was relieved by the 24th R.F., in the area of the right battalion in the left brigade sector, and withdrew to reserve battalion area. The recent tour of 8 days in the front-line trenches had passed without incident. One man was killed on the 1st July. July 5th.-Relief of 2nd H.L.I., after dark in the left battalion front. July 7th.-A quiet day, but towards evening there was some shelling just in rear of the joint H.Q. of A and D Companies, which caused several casualties. Casualties : 1 officer killed and 3 men wounded. July 9th.-Inter-company reliefs. Seven men were wounded this day. July 10th.- At 11.30 p.m. a patrol encounter occurred on the front of C Com­pany (right), which reflected considerable credit on one N.C.O. (No. 34728 A/Corporal Ohren, who was killed), and 4 men, of whom No. 30628 Private Towner was subsequently awarded the Military Medal. While out covering a wiring party and acting as listening patrol, they were attacked by a German patrol, estimated to number at least three, and a hand-to-hand fight ensued. Several casualties were inflicted on the Germans, and one prisoner was taken. July 13th.-Relieved by the 24th R.F., and withdrew to positions in the area of Reserve Battalion. During this tour of the trenches there was a great deal of rain, especially on the 11th, which made the tracks heavy, and caused them to be closed for a time. One man had been killed, and two men wounded. July 17th.-Returned to the trenches in relief of the 2nd H..L.I. July 24th.-Two men were killed and one man wounded today. July 25th.-Relieved by the 24th R.F., and withdrew to reserve positions. One man wounded. July 26th.-Training much hindered by rain and bad weather; men most uncomfortable, shelters flooded out, and for several nights sleep impossible. July 29th.-Relieved the 2nd H.L.I, in the area of the left battalion. During this month the Battalion received no reinforcements. The casualties were 1 officer and 5 other ranks killed; 7 other ranks wounded. August 1st.-The title " Pioneer Platoon " was substituted for " Sapping Platoon," and Lieut. J. B. Murray was appointed the "Pioneer Officer." August 6th.-On relief by the 24th R.F. withdrew to the area of the Reserve Battalion, having had 1 man killed and 2 men wounded during the tour in the trenches. August 9th.-The 319th Infantry U.S.A., having been attached to the Brigade for duty, relieved the Battalion in the Reserve area before dark, and the 52nd thereupon withdrew, H.Q. and two com­panies, to Humber Camp; two companies to La Cauchie. The moves were completed by midnight, the troops being in very good spirits—rejoicing par­ticularly at the news of the capture of 17,000 prisoners and many guns by the British 4th Army and a French Army. August 10th-14th.-A very enjoyable and profitable time in this back area. Companies were clear of the trench system, and in billets for the first time since June 7th. The weather was all that one could wish. Companies practised bivouacking and skirmishing, which were now ordered to be included in the morning's work; sports were held, and the men bathed and had a general clean up. August 13th.-Four years ago today the 52nd left Aldershot and embarked for France. Of those who embarked with it there are present now 3 officers (the C.O., Second in Command, and Quarter­master), and 69 others, of whom 1 officer and 44 other ranks have served continuously with it. August 14th.-Moved up about 6 p.m. and took over the Reserve Battalion area from the 2nd H.L.I., who then relieved the 319th Infantry U.S.A in the area of the Right Front Battalion. August 15th.- Relieved the 24th R.F. in the Left Front Battalion area. The Rev. E. M. Guilford, M.C., who had been our Chaplain since November 1916, was transferred to H.Q. 2nd Division, in place of the Rev. H. L. Hornby, M.C., transferred to H.Q. 3rd Army. August 15th-20th.-This period in the front line is noteworthy for the increased vigilance necessary to ensure that the enemy did not withdraw unobserved, there being indications, quite beyond doubt, that he would do so, and had done so farther south. Patrolling was necessarily very active, arid some very good patrol work was carried out by officers and N.C.O. 's of the front companies. About 9.45 a.m. on the 20th, 2nd Lieut. J. P. sears asked per­mission to work forward from the line of the left front company (C), to obtain better observation of the ground to the front. Accordingly, the objective to be reconnoitred was given as the outpost line, and a covering party was posted. 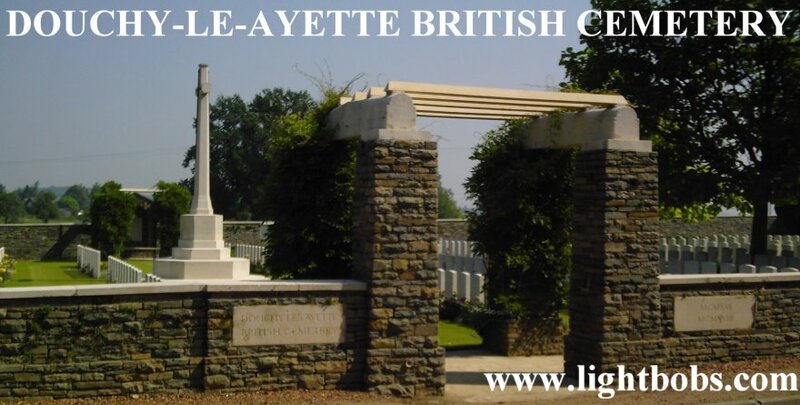 About 11.15 a.m. the patrol was seen by the enemy, who, contrary to expectation, was found to be holding a post in the sunken Ayette-Moyenneville road, which crossed the front. This post fired on our patrol and was engaged from a flank. The patrol withdrew slightly, and during the with­drawal 2nd Lieut. sears was twice hit and succumbed to his wounds within a few minutes. The two N.C.O. 's (Hollyoake and Lee) who went with him remained out until dark. August 19th.-The Rt. Rev. Bishop Gwynne, D.D., C.M.G., Deputy Chaplain-General, British Armies in France, and Chaplain to the Regiment 1914-15, performed the Dedication Service in St. George's Recreation Room and Church, in the H.Q. Reserve Bat­talion, between Adinfer Wood and Monchy-au-Bois. This building had been erected by the Pioneer Platoon of the Regiment, with material supplied by Brigade H.Q. The Rev. E. H. Gallop, C.F., who had arrived in place of the Rev. E. M. Guilford, was also present. 2 members of the 52nd lie in this cemetery from the period April-May 1918. 3 members of the 52nd lie in this cemetery from the period 8-10 May 1918. 6 members of the 52nd lie in this cemetery from the period April-August 1918. 6 members of the 52nd lie in this cemetery from the period April-May 1918. 2 members of the 52nd lie in this cemetery from the period June-July1918.